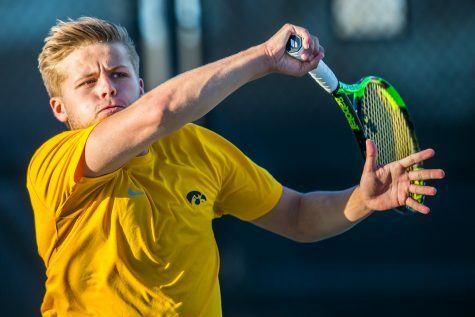 Mental toughness is a key to success in Big Ten tennis. 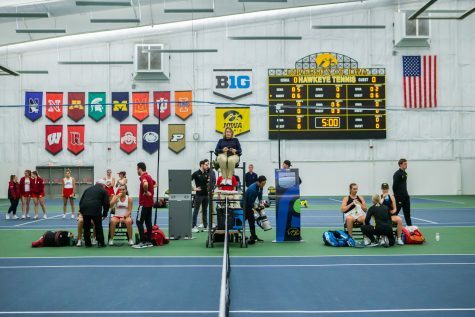 Iowa coach Ross Wilson watches Joe Tyler during a tennis match between Iowa and Western Michigan in Iowa City on Friday, Jan. 19, 2018. 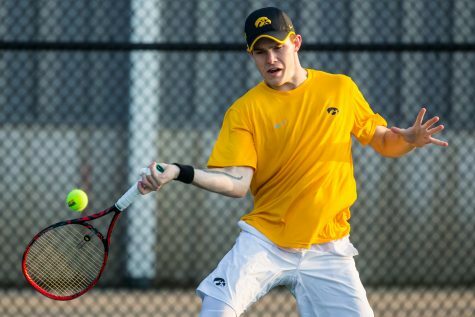 The Hawkeyes earned the doubles point but lost the match overall, 5-2. 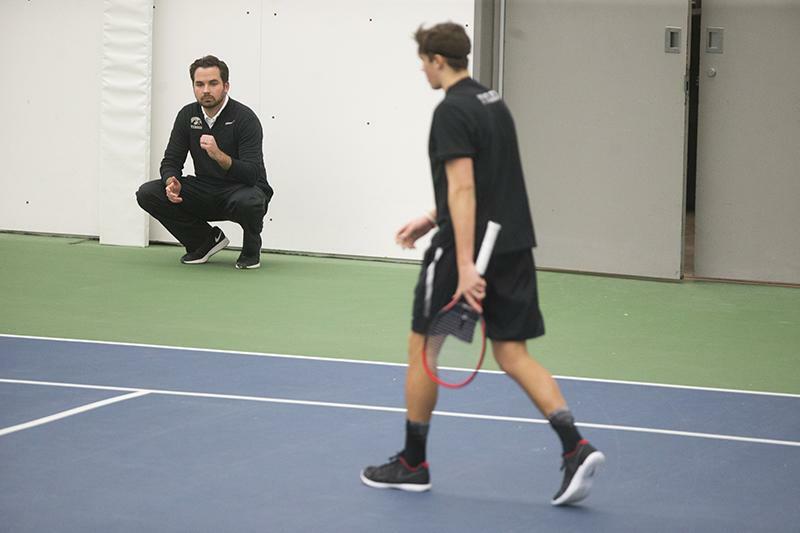 When it comes to tennis, there are two main aspects of the game: physical and mental. 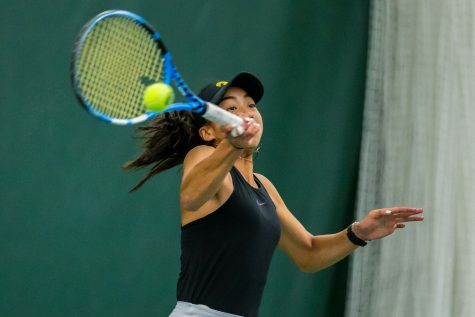 Having the mental toughness and a strong mentality are what separate the good athletes from the elite ones, especially for college tennis players. 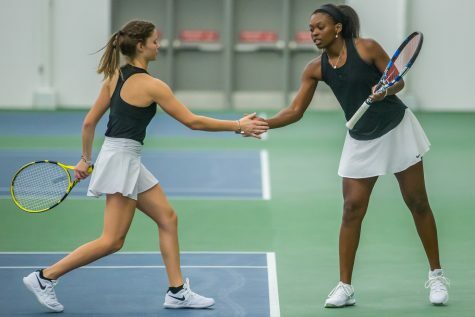 The mental aspect can determine if a player wins a close point, match, meet, or tournament. A player can’t get scared in big-time moments and play not to lose. 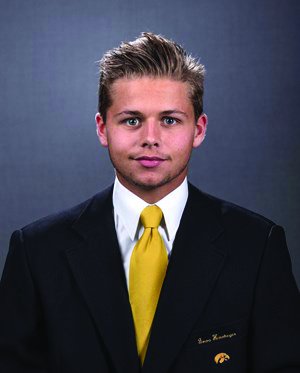 That’s why Iowa head coach Ross Wilson stresses the importance of mentality. 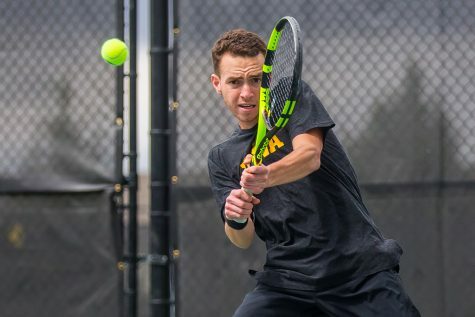 Sophomore Will Davies, who has the best singles and doubles record on the team (24-8 singles, 19-8 doubles), knows all about the benefits of being mentally strong. 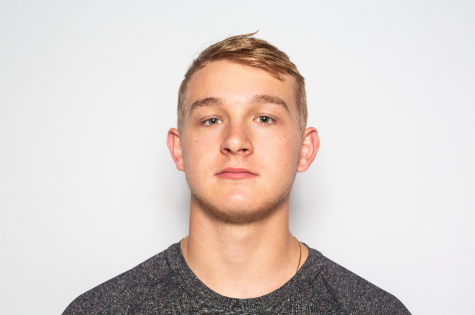 Playing at the Division-1 level for two years now, he knows that if he’s not fully committed mentally, there’s no shot of having consistent success. He knows that if a player doesn’t have the mindset of getting better every day, then the individual — or team — won’t benefit. Tennis is one of the more physically demanding sports, but as Davies said, it’s much more than that. That’s why Wilson believes the game revolves more around the mental aspect than the physical. The physical traits are certainly important, but competitors need to have more than speed, length, endurance, flexibility, and strength to win close matches. 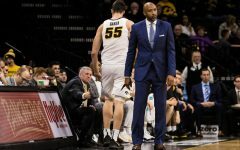 Iowa freshman Oliver Okonkwo, who has been one of the Hawkeyes’ most consistent players this season, knows all about that. 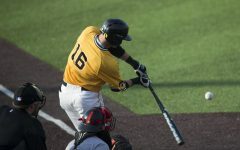 Learning from his early season mistakes both mentally and physically, Okonkwo has been able to to become one of the best players on the team as a first-year player. 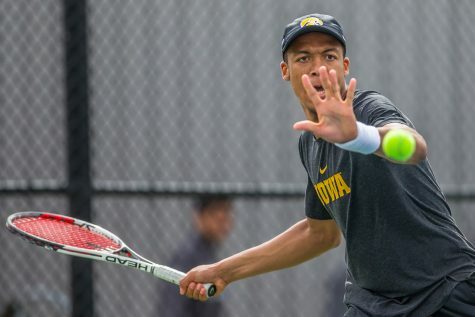 The freshman noted his mental game has helped him crack the top 10 for most singles victories in season in Iowa program history with 22 and counting. 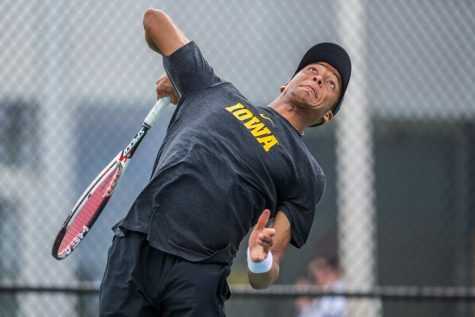 The Hawkeyes work to improve their mental toughness every day through practices and matches. However, being mentally tough during routine practices is different from having it when the lights are on and the team desperately needs someone to come up with a victory in a match.